Surfing fanatics the world over will say that the act itself is more a passion than a sport. Indeed, to the converted it is a calling that often sees people traversing the globe on a near-spiritual quest in search of the perfect wave. And many of the various coasts of the world are blank canvases just waiting for these soul-surfing artists to paint their masterpiece. From Australia to Alaska, all the world is a stage for these aquatic performers. But to list each and every prime surfing spot on the planet would take a few million more words than the anxious surfer has time to read. For the time being it’s best to focus on a single region: South America. So for those with water on the brain, here are some of the best spots south of the equator to chase that endless summer. Brazil is known for many things, not the least of which are its stunning beaches. The country boasts thousands of miles of coastline, and in the northern state of Bahia (just south of Salvador) is where intrepid surfers will find one of the crown jewels in Brazil’s surf-town crown: Itacare. 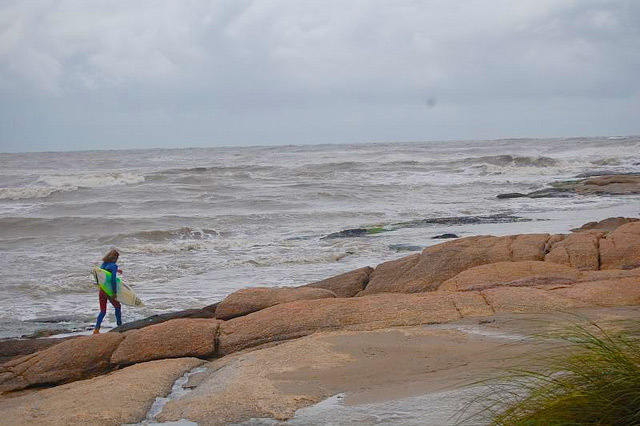 What makes this sleepy coastal hamlet with soft white-sand beaches so ideal for surfing is the continental shelf just off shore, which produces strong waves on a schedule so exact that boarders can set their Nixon watches to it. 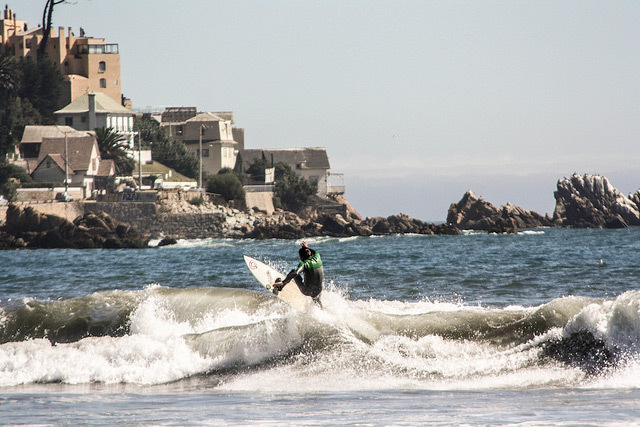 While this Chilean cultural landmark of a city may not have much surf within its immediate limits (the supertankers that crowd the bay make it difficult), it is a great jumping-off point for prime nearby surf spots. Punta Lobos and Puntanilla are just two nearby beaches that offer world-class surf. Those surfers who don’t mind hordes of tourists with their waves can opt for this popular vacation spot for South Americans. Those who don’t enjoy a holiday atmosphere may want to consider it anyway; the rock and sand-bottom beaches provide highly diverse and enjoyable surfing conditions. There are even a number of surfing schools in the area for beginners. Punta del Diablo is located on the southernmost coast of Argentina’s little brother of a country, Uruguay. And it is the polar opposite of Mar del Plata. Surfers who make their way to this spot at the end of the world will find few tourists and long stretches of beach all to themselves — all the better to be one with the waves. Probably the country in South American with the strongest surf culture, much of Peru’s some 1,500 miles of coastline is ideal for riding waves. In fact, the notion of surfing is an ancient cultural one in this idyllic little country, as locals have been taking to the water on their boards for centuries. 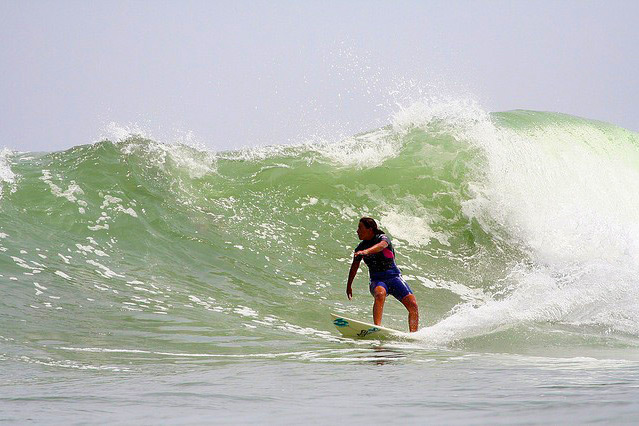 One spot with near-perfect conditions is Punta Hermosa, a few hours drive from the capital city of Lima and riddled with a number of tucked-away bays and beaches. The above list represents a smattering of ideal locations on this large and bountiful continent. Indeed there are many more out there just waiting to be discovered by those with nothing more than a surfboard, travel bag and a plane ticket.